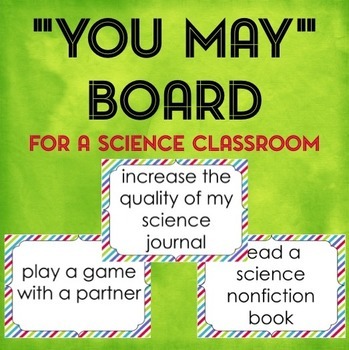 A “You May” board is displayed in your classroom with the choices of activities students can do after completing their work. For teachers who teach science all day, this is a great option! This can be used with a variety of age groups, depending on the materials you provide them to use. Must use PowerPoint to open file.